Now that we understand just how foolish and inadvisable it would be to try and set foot on Venus, if at all possible to begin with, the true adventure can begin. 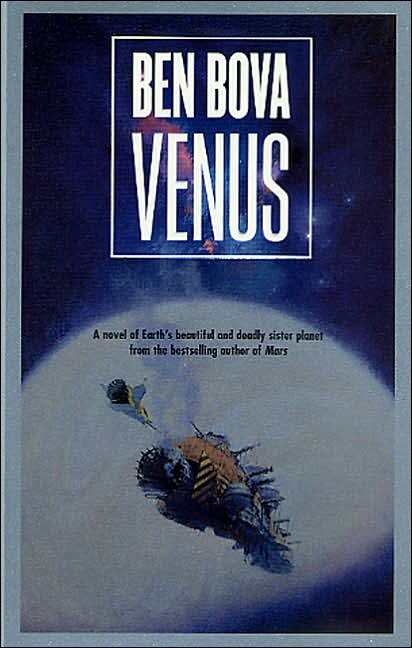 Once upon a time, Alex Humphries, beloved elder son of the billionaire Martin Humphries, was part of the initial exploration of Venus. He died, the expedition lost somewhere in the hellish environment of the planet. Now his father is offering a reward of ten billion dollars to the first team to journey to Venus and bring back Alex’s remains. Who steps up to the plate? Van Humphries, younger son, as despised by his father as Alex was loved. Sickly and something of a wastrel, Van is a most unlikely choice for a hero or an adventurer. Nevertheless, he takes the challenge, as much to defy his father’s expectations as to make something of himself. He’ll join the crew of the airship Hesperos as they attempt to survive one of the most hostile places alive. He’ll deal with crew members who hate him, one of whom is a spy for his father, overcome his own insecurities, and come face to face with his mortality more than once. And just when things can’t get any worse, Van and the crew will discover why the previous expedition failed, and just what sort of life can survive on Venus. The knowledge may just kill them all. Only a deadly, distrusting alliance with his father’s worst enemy, Van’s rival for the ten billion dollar prize, will enable anyone at all to escape alive. From the dangers of Venus’ atmosphere to the threat of mutiny within, from the failure of his own body, to the man who hates him, Van will be forced to master his own destiny and potential if he wants to see home again. I love Ben Bova’s writing for two main qualities. The first is the rich and enjoyable characterization. His characters are intensely human, full of flaws and foibles and goals, capable of anything, and as realistic as anyone you’ll meet on the street. The second is his intimidating scientific knowledge of the mechanics of space travel, exploration, and what it’ll take to conquer and survive those environments. Venus delivers on both counts, and doesn’t disappoint in the least. 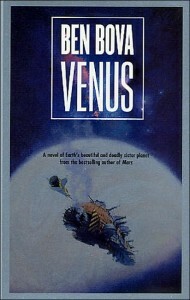 Like any new Bova novel, I couldn’t stop reading Venus until the last page, and it left me wanting more. If we could only put him in charge of our space exploration program, we’d be mining asteroids and living on the Moon in no time at all. Ben Bova is a must-read for anyone who likes their SF hard and complex, and all-too-possible.